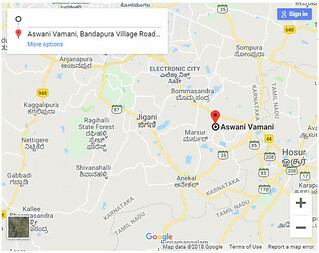 Our newest project, Aswani Vamani, is located in Chandapura and here’s some background information that you might find useful. Chandapura has a TMC tag (Town Municipality Council) (TMC) in the Bangalore Urban District of Karnataka. Chandapura is 6 km from Electronics City on NH 7 (known as Hosur Road). Going by project indications given by Namma Metro Chandapura will feature along the metro line by 2021 – green track coming in from Bommasandra. Chandapura is also 3 km from the railway station that connects to Bangalore and the Southern Railway network. 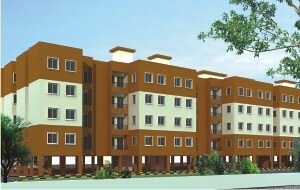 Residential projects by the Karnataka Housing Board are in the residential belt of Chandapura. The industrial areas nearby include Bommasandra Industrial, Jigani Industrial, Attibele Industrial, Hosur Industrial areas and Electronic city IT areas. Among the educational institutions nearby is the Bangalore College of Engineering &Technology – run by Bangalore Educational Trust, Bangalore. The BET Trust has set up this institution as part of its prime objective of offering specialized education in economically weaker and educationally backward areas. The wide range of courses offered cover Engineering & Technology, Arts & Science, Medical and Paramedical Sciences. My name is Praveen Kumar, and I am an assistant sales officer in a paints distribution company in Bangalore. I did my graduation in Tumkur and then came to Bangalore to explore job prospects. I was lucky to get this job, and I look after retail sales for my company. I am 29 years old and at that stage where I want to give my family a little more comfort in life. And that means a nice comfortable home that I would be happy in and proud of. I pesently live in a small one-bedroom house on the outskirts of Koramangala and I am not too happy with the locality we stay in. We are paying 12,000 rupees as rent, and every month when I pay the landlord, he is happy and I am sad. I sometimes wonder how long I will continue to stay in a rented home. And what really happens to the money I pay as rent. One day I also want to bring my parents from Tumkur to Bangalore. They are both teachers and will be retiring in a few years. I would like to bring them down to stay with me when they retire. What would I give to invest in a really affordable, small, compact two bedroom apartment that I can eventually call my own home? I know home loans are easier to get these days, even my boss who is a few years older was talking about that. Getting a loan is a sensible thing to do, but how would I pay my rent in addition to my EMIs. Then I heard some good news that I really want to explore. I heard about a truly amazing offer from Aswani Properties where they pay you rent for your apartment (under construction) from the day you make your booking. Which means right through the construction period, I earn rent – which will help me reduce my burden on EMIs towards the loan. I am going to meet the sales team at Aswani with my boss and together we are going to check out this offer. Who knows, we may be neighbours as well. With Aswani, here’s another aspect that comes within our plans. We’re giving you open spaces around your block, a children’s play area, and yes…a club house as well. Club houses don’t normally come under the affordable housing banner, but we’re giving it to you at Aswani Aaeesha. There’s one other way to make affordable housing really affordable. By not loading parking costs onto the price tag. That’s why if you don’t want a car parking slot you don’t have to go for it. But if you do, we will give that to you at a small additional cost – with the options of covered and open-area parking. There’s another thing about affordable housing that is sometimes misleading. Because what you could get is one room, a kitchen and with some luck common bathrooms. The way we look at it at Aswani Properties is different. Radically different. We want to give you a plan that you can call home – with independent bedrooms and living areas. Though the formats are smaller, we’ve spent a lot of time to ensure that every square foot is accountable. So even in our 545 square foot apartments, you can get two independent bedrooms, a living area, a dining area and a well planned kitchen. 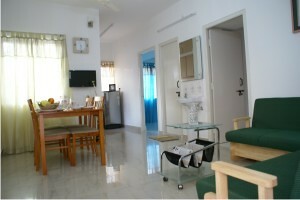 We also have a slightly larger option, with three bedrooms. The good news here, is that both these formats come under our affordable housing plan, with the option of home loan financing from our project finance partners. 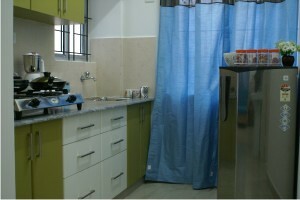 Aswani Homes is the Home Projects Wing of Aswani Properties. To deliver the best value to our customers, we do extensive research on affordable homes, value pricing, optimum spaces, quality construction and attractive financing. We want to deliver a package of benefits to you under the banner of Aswani Homes. We’re starting this blog, to keep in touch with you and share updates on our projects, promotions, and special offers. Bookmark this page and stay tuned in.